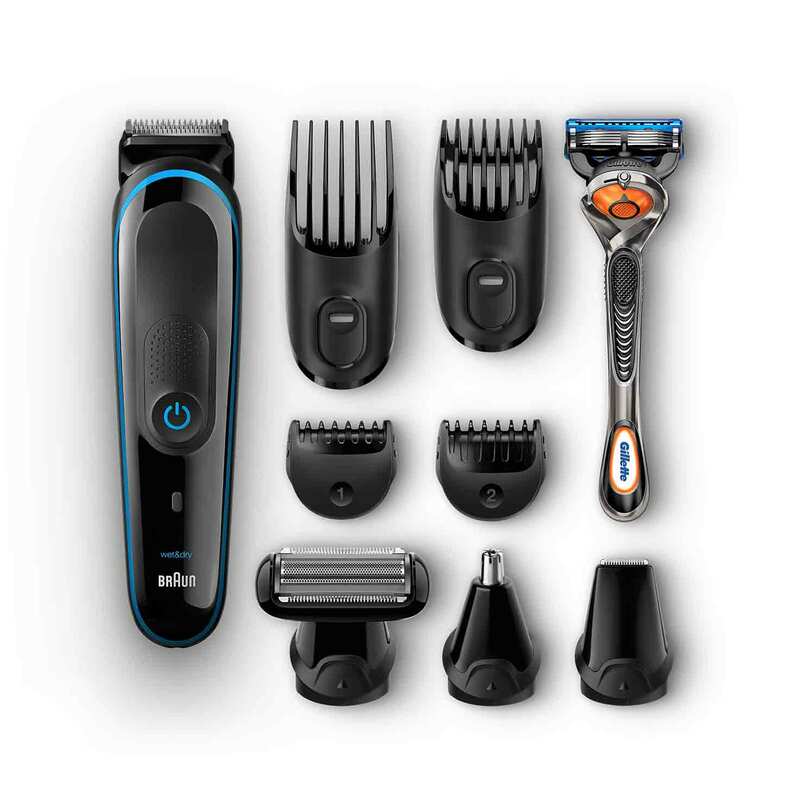 Multi grooming kit MGK3080, 9-in-1 trimmer, 7 attachments and Gillette Fusion ProGlide razor. This multi grooming kit really does the job. A whole bunch of combs and cutters, a fast charger and even a razor is included in a nice travel box.&#10;Buy it!